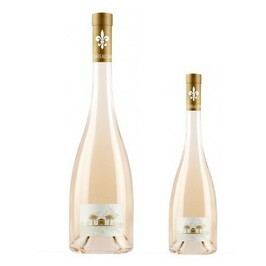 This vintage of rosé of the Château Sainte Marguerite Grande Réserve certified in organic farming, is characterized by a fruity and greedy nose. A big sharpness in mouth on white typified fruits citrus fruits. Finale is long with a salt side. Chateau Sainte Marguerite rosé wine is served at 10-11°c for the apéritif, with crudeness, with Mediterranean grilled fishes, and with asiatic food. The vineyard Côtes de Provence Château Sainte Marguerite extends over 75 ha. In front of the sea, the vineyard is located in La Londe Les Maures. The vineyard produces 65 % of rosé wines, 20 % of red wines and 15 % of White wines. Created in 1929 by André Chevillon, the Château Sainte Marguerite is located on a wine-making ground cultivated since Antiquity. Today, the Fayard family continues this excellent work by producing. Organic farming and certified Ecocert and Vegan. In 1977 Jean-Pierre Fayard and his wife Brigitte bought a typical french south esat house surrounded by vines, which upsets their life. They bet to create a renowned classic of La Provence. 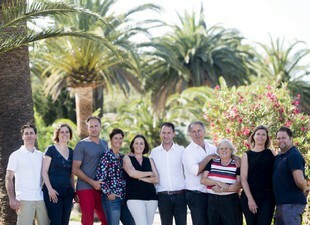 Today, they have won their bet since Fayard family is considered as one of the greatest names in La Provence.